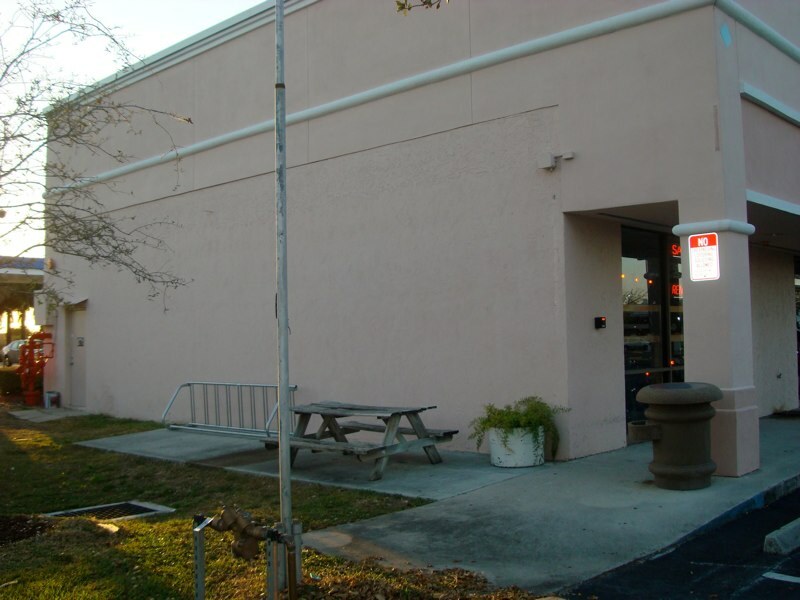 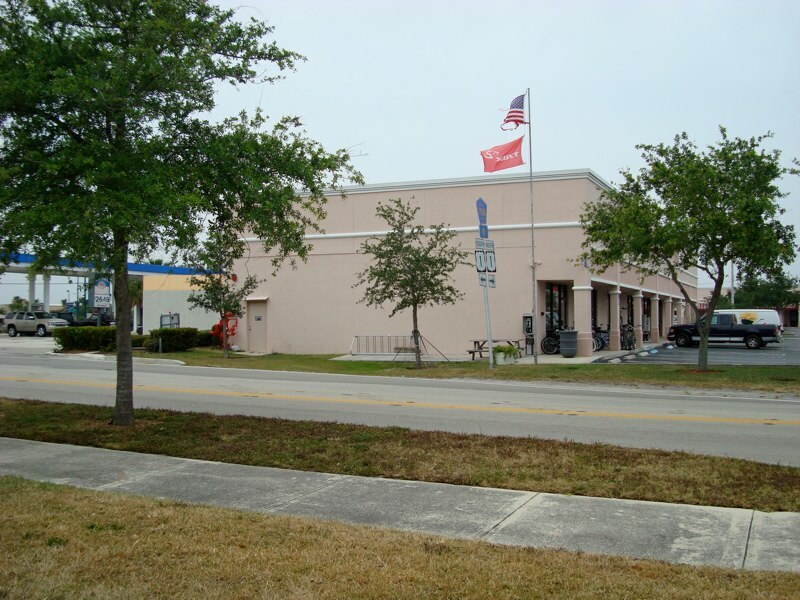 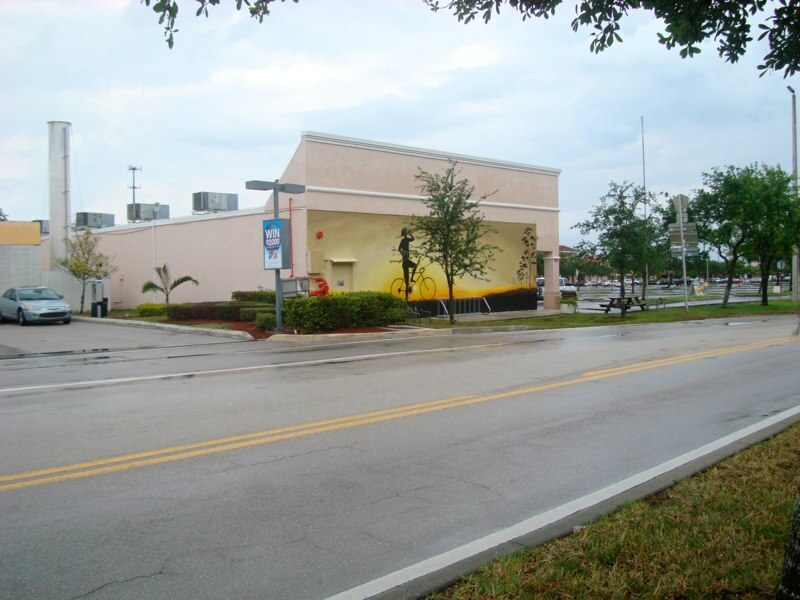 This is one of the first visible walls of The Marketplace plaza, from the south entrance off of Bridge Road and the main corridor of US1 as well. 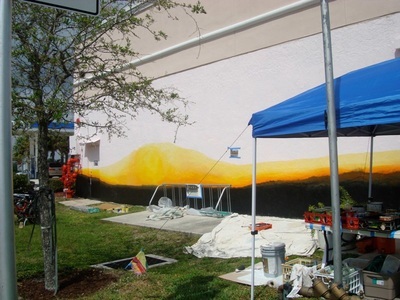 The location is arguably in the heart of town and this mural will offset some of the ‘big box’ footprint by reducing the effect of at least one of it’s large barren walls... 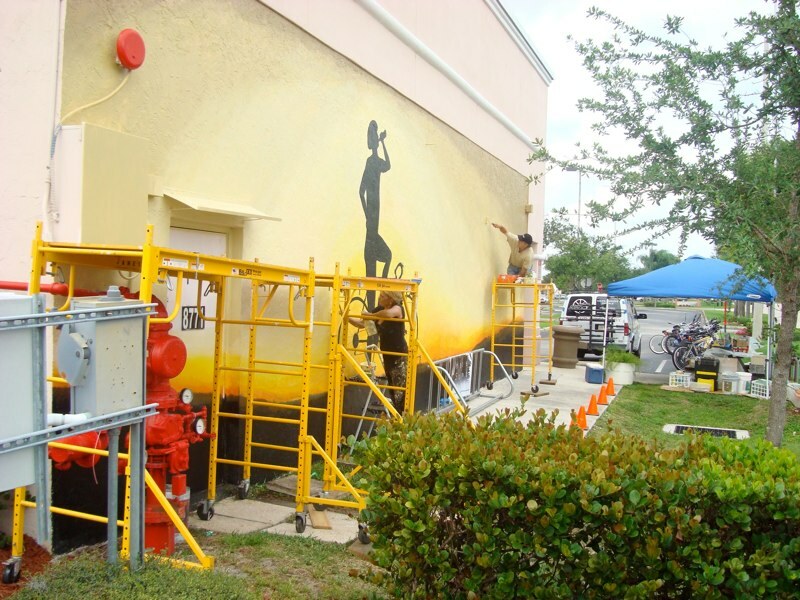 It will draw positive attention to an otherwise ignored surface and thereby contribute to the vitality of the plaza’s presence for locals and visitors alike. 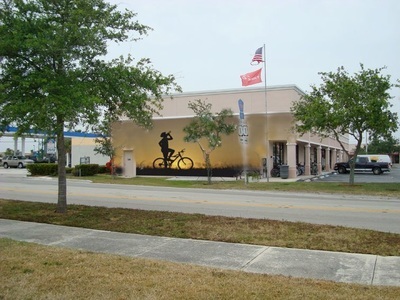 The theme of this image is clearly in honor of the Village Bike Shop, the healthy lifestyle activity they promote and the considerable bicycle community that pedal all throughout town... particularly on week-ends! We specifically chose a subdued pine ecosystem landscape to balance the ‘tropical’ feel of other existing and planned murals. 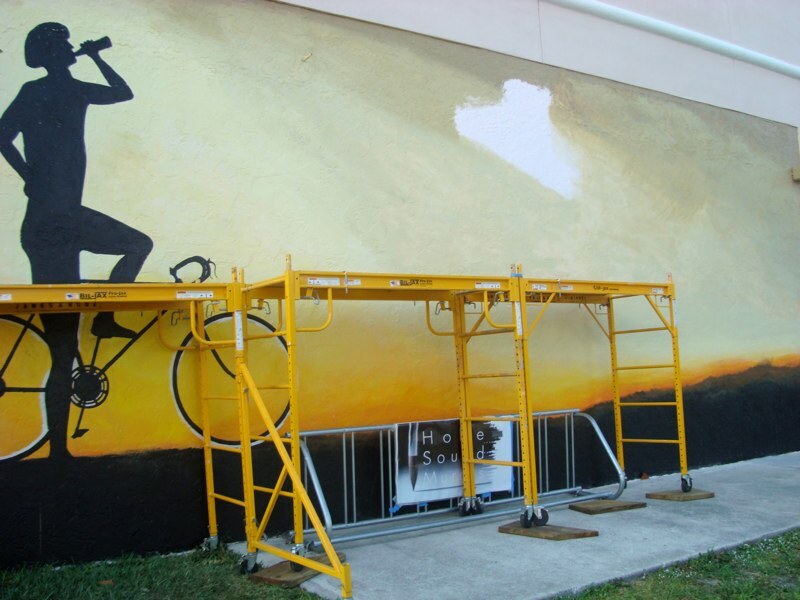 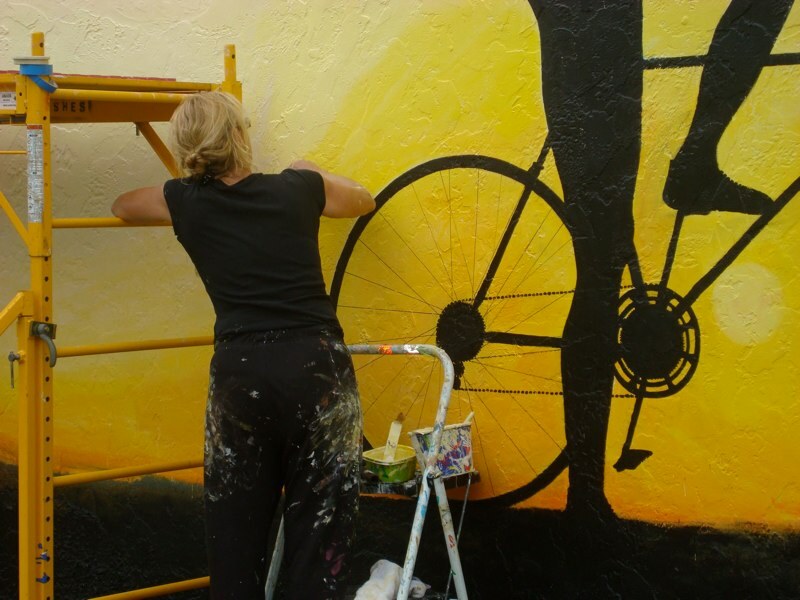 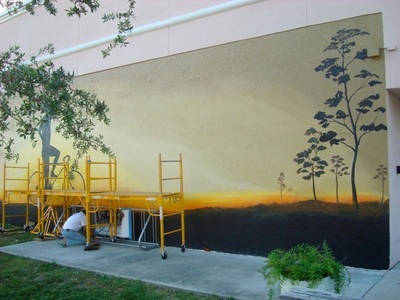 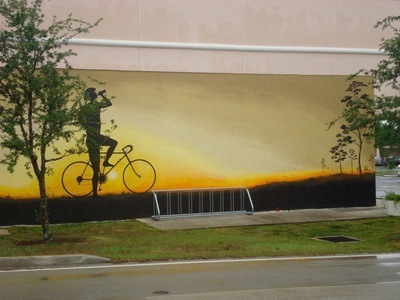 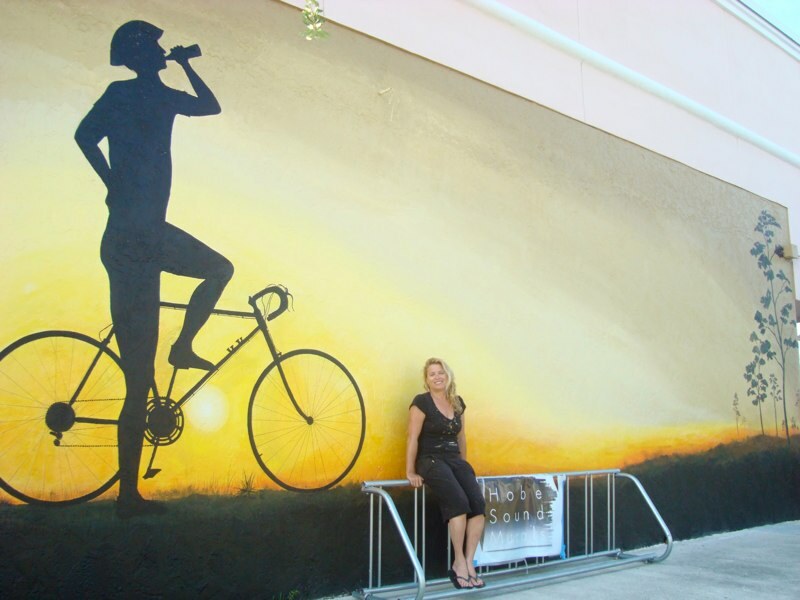 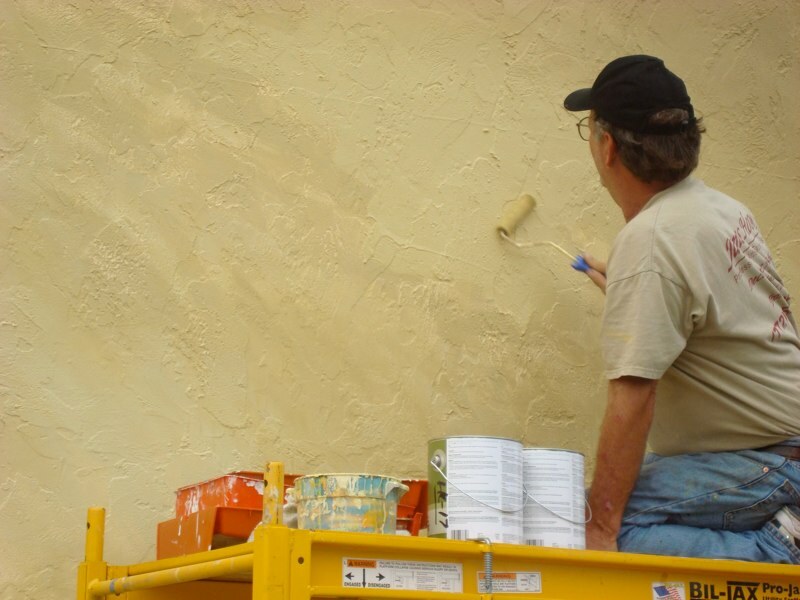 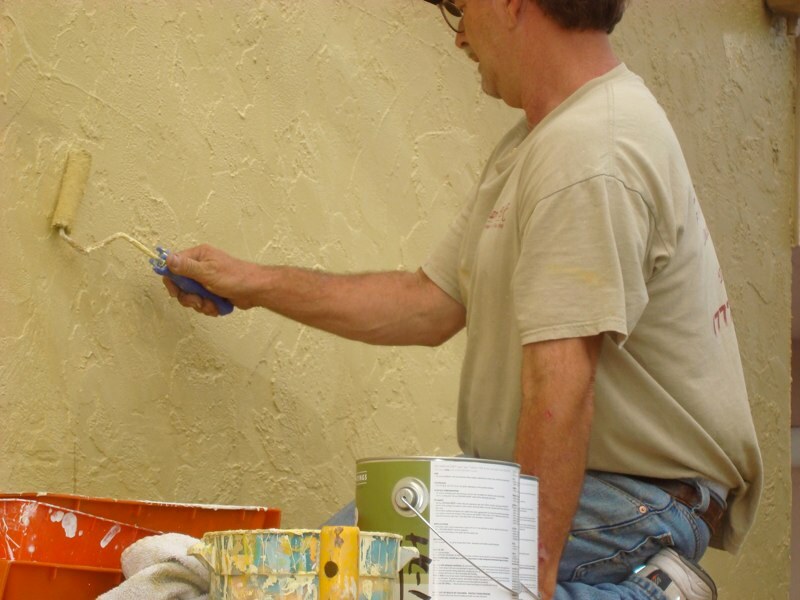 The painting of this mural was started on Saturday, March 28th in conjunction with another community event: the Bicycle Poker Run, which benefits The Harbors of Treasure Coast Hospice. 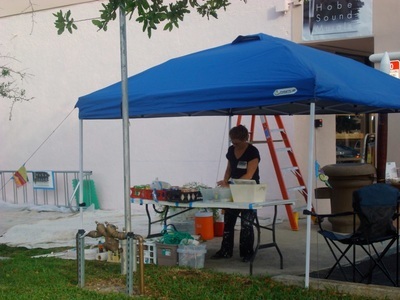 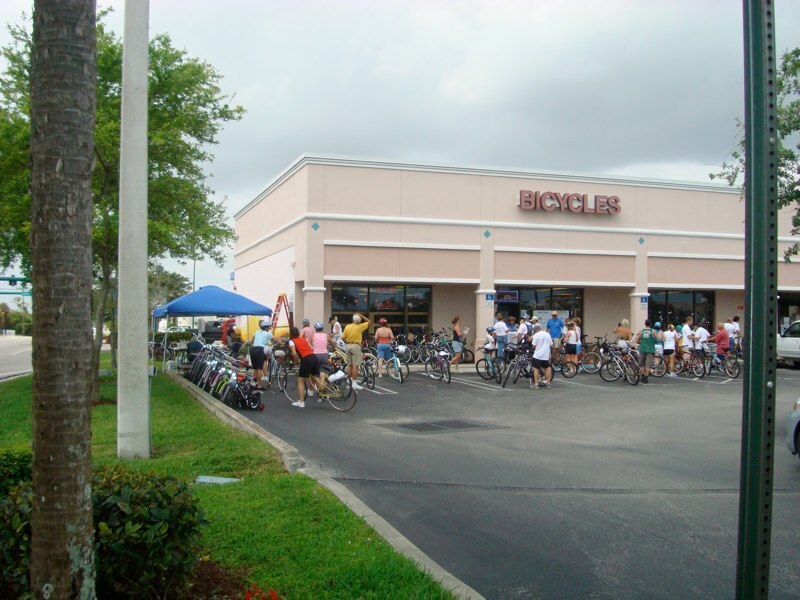 This annual event is held along main corridors of Hobe Sound with stops at participating locations: Taste Restaurant, Hobe Sound Public Beach, Village Bike Shop, Harry & The Natives Restaurant, Cactus Jacks Restaurant, Horsefeathers Sports & Spokes Cafe. Bicyclists pay a registration fee to participate and receive a playing card stamp at these 5 points along the ride, the person with the best poker hand receives a prize at the end of the day celebration and the contributions go to a very worthy community cause.